Several terrorist leaders have been killed in Russian airstrikes in Syria over the past week, the Defense Ministry said. In Latakia province, a dugout with the leader of a large terror group named Abu Abdu and several other field commanders has been destroyed, General-Major Igor Konashenkov, a Defense Ministry spokesman, told a media briefing on Friday. “Also during the week, several [terrorist] leaders were eliminated near the village of el-Latamna in Hama province,” he added. Illegal oil trade by the terrorists was also targeted by the Russian Air Force, with Konashenkov speaking of “12 oil pump stations, eight oil fields and refineries, and over 170 oil tanker trucks” being destroyed over the past seven days. "Over the past week, between November 26 and December 4, Russian aircraft have performed 431 sorties from the Khmeimim airbase [in Syria’s Latakia province] and carried out 1,458 pinpoint airstrikes against terrorist facilities in the provinces of Aleppo, Idlib, Latakia, Hama, Homs, Deir ez-Zor and Raqqa,” he said. According to Konashenkov, terrorist command centers, strongholds, militant training camps and arms depots were targeted. “I want to emphasize that all our bomber and attack planes received cover from Su-30 [fighter jets],” he stressed. The measure was implemented after the downing of a Russian Su-24 bomber by the Turkish Air Force on November 24. Konashenkov urged the US-led coalition to share any intelligence it has on the illegal oil trade by Islamic State. "Most of the drones of the so-called coalition are carrying out surveillance over the areas of [IS] oil production and along the Syrian-Turkish border, which is the main smuggling route for oil,” he said. "It seems obvious that our colleagues, who perform such large-scale video monitoring in these areas – if they had such a desire – could have shared with the public the information on what’s happening on the Syrian-Turkish border and on the volumes and destination of the oil smuggled by the terrorists,” Konashenkov added. Earlier this week, the Defense Ministry presented maps and satellite images that it says prove that Turkey is the main destination of smuggled oil, accusing the country’s leadership, including President Recep Tayyip Erdogan, of financial ties with terrorists. Konashenkov also spoke of the heavy losses suffered by the terrorists in Syria as a result of Russian airstrikes. “According to the information confirmed through various channels, the militants are suffering serious losses, are demoralized and are trying to leave their positions,” he said. 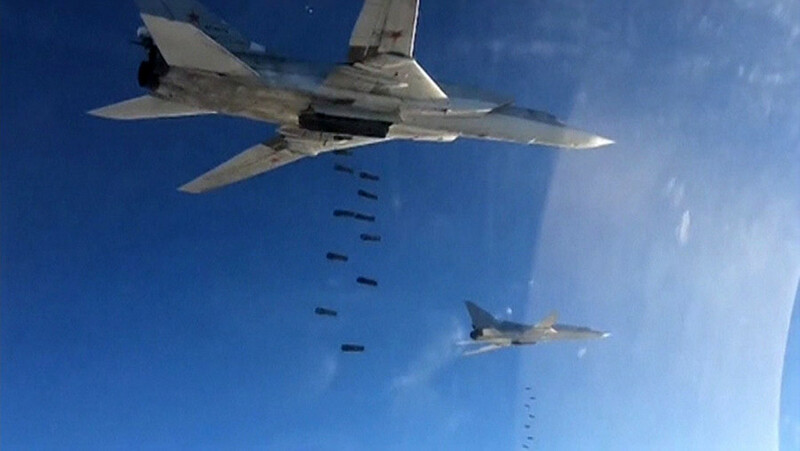 The Russian Air Force has been conducting daily airstrikes against Islamic State, al-Nusra Front and other terror groups since September 30 at the request of Syrian President Bashar Assad.